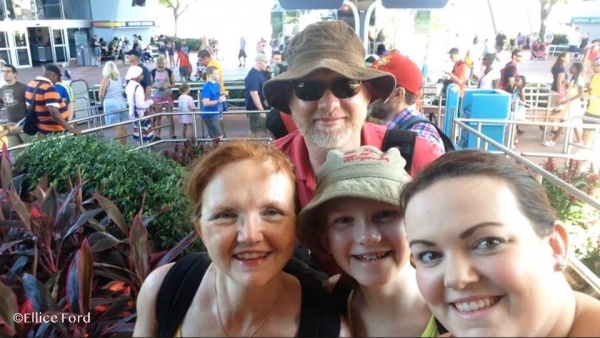 When traveling to Walt Disney World, we’re usually trying to spend as little time as possible in line, to squeeze in as many attractions as possible. However, some queues are worthwhile to wait in line & you might even want to consider not booking a FastPass+ for if these if the queues interest you. With that said of course, I consider waiting any longer than maybe 45 minutes in a queue to be too much, but that’s just me! I’m going to break down what queues are the best & worst to wait in, and also discuss tips for what to do while waiting in line! Keep in mind this is not a super in depth list, I just touch on a few in each category. If you don’t see your attraction of choice listed, I considered it mediocre, not bad, not great either. 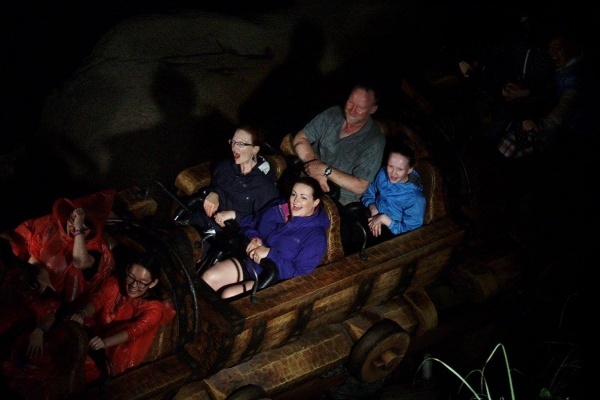 Big Thunder Mountain Railroad: One of my least favorite queues in all of Walt Disney World. I just find this one so long, with the outdoor queues and the cramped quarters. I always make sure to book a FastPass+ if this is a must do for me. Jungle Cruise: I was on the fence about this one making my worst list, because there are so many neat features & artifacts in the queue to admire. Honestly this one boils down again to it just feeling so HOT when you’re in that line! It’s a lengthy queue with not much to do. I don’t feel this one warrants a FastPass+ – I typically hit it at the beginning or the end of my day to avoid the crowd. Seven Dwarfs Mine Train: While there are some cute & unique hidden gems (literally) in this queue, I just find this one to be another long one to stand through. Outside in the open air you don’t get a break from the heat & it just seems long! I always FastPass+ this one because the lineup always tends to be long as well! Pirates of the Caribbean: While this queue is a lot of winding and waiting like the other queues, this one makes my best list because of two reasons; 1) you’re for the most part inside in the air conditioning. 2) While there’s not a ton to do, it is so fun to see the unique pirate theming while you wait in line. Pro tip-the Disney Play app has a fun achievement feature for this attraction! Peter Pan’s Flight: The queue for this attraction recently had an overhaul, and while I have not yet seen it first hand, I have heard it is now an interactive, fun queue that makes the typically long wait almost worthwhile! 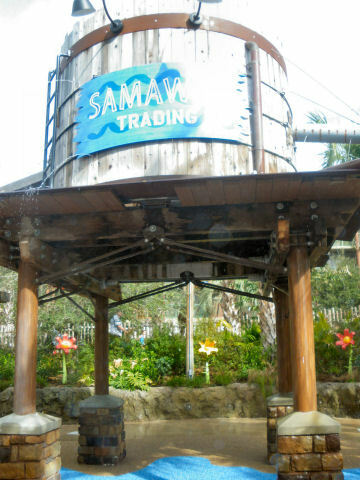 This is one that keeps the kids & kids at heart occupied while you wait to hop on. Haunted Mansion: I love the Haunted Mansion queue. It’s rarely a long wait, but while you’re heading in, make sure you stop & soak up the queue. There are so many hidden wonders in this queue that you’ll only find if you’re looking for them. There’s the cemetery, the engagement ring & even a few games you may not know about! This is an experience in & of itself. 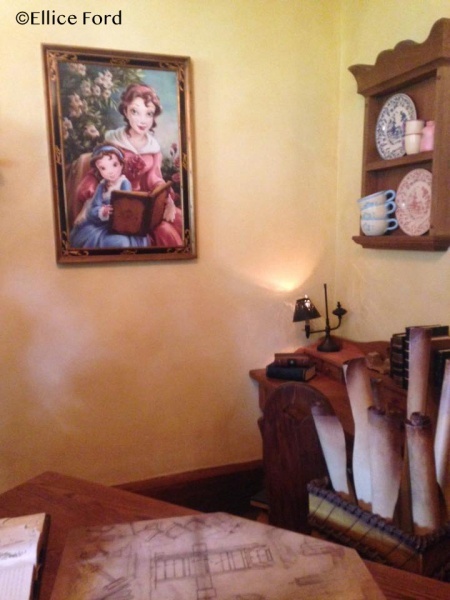 Enchanted Tales with Belle: This experience is a must do for all ages, but especially those little princes & princesses. I love the queue for this one. It is set up like Belle’s house. The outdoor queue portion is a bit of a long winding trail leading to her house, but there is lots to do & see along the way. Once inside the house, you’ll see everything that Belle enjoys, like books & much more. I like it because it is so simple & cute & a fun way to lead up to the experience. Once past the initial area of Belle’s home, we are taken into another room that has the magic wardrobe, before we head in for story time! Soarin’: Hands down, one of the worst (if not the worst) queues on property. There is just nothing to do or see but empty space & walls. I usually break out my downloaded episodes of my favorite show on Netflix if I have to wait in line. 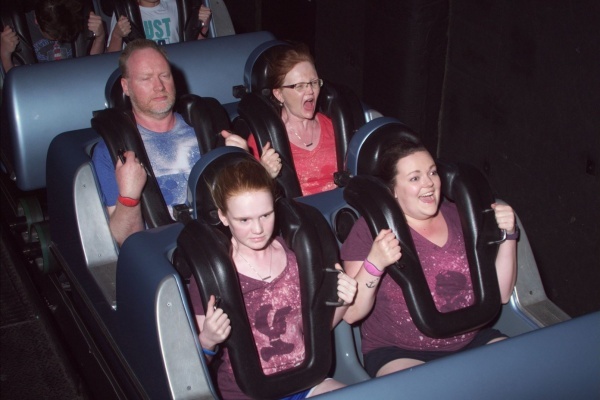 For this reason-I almost always FastPass+ this one. Spaceship Earth: This is another one that is just plain boring. The queue is situated outside so you don’t get much of a break from the heat. There’s not really much of anything to do or see on your way in. The good news is, there’s rarely a long wait for this one, so I rarely FastPass+ it. Test Track: Definitely one of the better queues on property! This is such a fun, interactive queue with so much to do. You even get to build your own car while you wait to ride it! Bonus, it’s inside in the air conditioning. This is one I don’t mind waiting in. Pro tip: I usually try to do single riders line if I don’t have a FastPass+ for it! 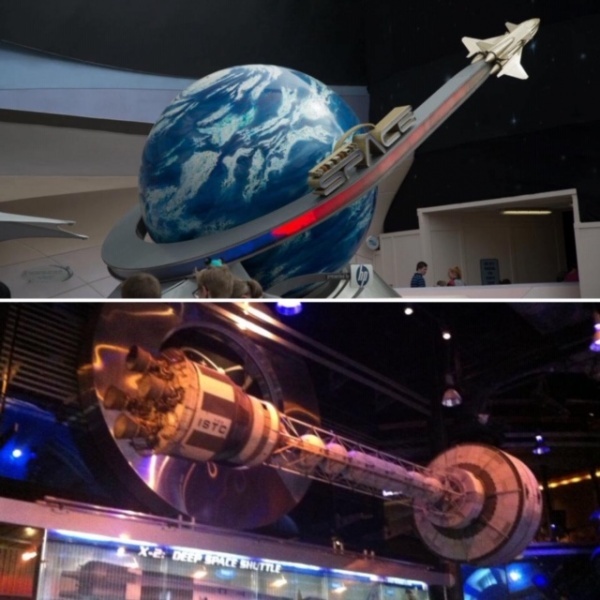 Mission Space: Similar to Test Track, this is another interactive queue with so much to explore on your space journey while you wait to board. The line for this one usually isn’t crazy either, so sometimes, it’s worth the wait! Rock ’n Roller Coaster: This is another queue that I just do not enjoy. The majority of it is outdoors so you don’t get a break from the heat. And I just find the way it’s set up to be a little sardine-like. Once inside, there are some Aerosmith gems to check out along the way, but it just feels a bit disorganized inside. Not my favorite! Slinky Dog Dash: I can’t speak to this one personally yet, but judging from reviews & videos, while the queue for this coaster is cute, there doesn’t seem to be much to do. You’re corralled into a winding outdoor queue with minimal activities along your way. The one thing about this queue, is that the Disney Play app does have a fun game you can try out! Tower of Terror: While this queue is not interactive, there is so much to see in the queue! Remember, the classic Disney film from the 90’s was filmed partly right in this queue! It’s kind of neat to see all the memorabilia/artifacts that inspired this ride & movie. I do really enjoy this queue but I won’t lie, I am not a Tower of Terror fan; way to scary for this coaster girl! 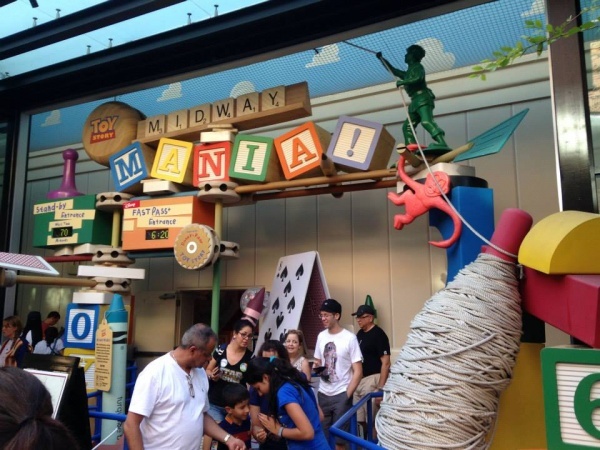 Toy Story Midway Mania: This is another super fun one that has so many interactive features along your way in. Hang out with your pals Buzz, Woody & more. It’s a great queue to keep the kids occupied in! Kilimanjaro Safari: Another queue that I really don’t enjoy. Cramped corrals, outdoor queue, just not a good time! 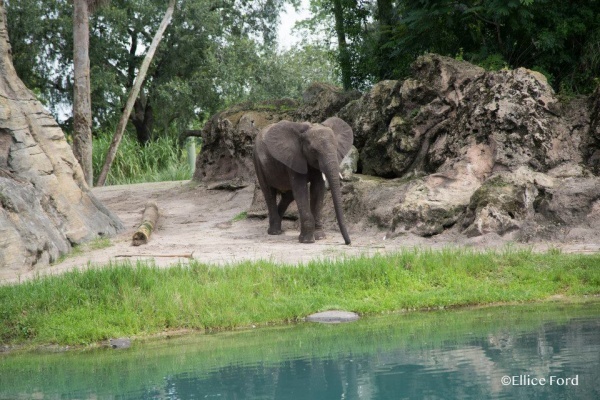 I find Animal Kingdom to be the hottest of all the parks because it is so open concept in a way. And being stuck in that heat waiting for the safari is not fun. I love the safari, so I always try to snag a FastPass+! Avatar Flight of Passage: Disney has done a great job on this one of keeping guests occupied, while also telling the backstory of Pandora. Pandora is truly a wonder to see, and this queue is no different. The details, the bioluminescence, it’s all pretty spectacular. 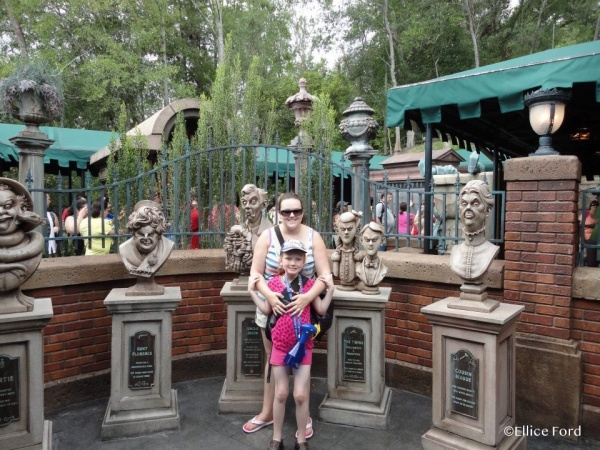 If you don’t get a FastPass+ for this one, don’t be disappointed or opt to pass it! The queue is well worth your visit. So, now that we have talked about the best & worst queues of the parks, what can you do while waiting in line at Walt Disney World? Some of these interactive queues are entertainment enough, but it’s fun to do things while you wait-especially if you have little ones to entertain! Hidden Mickeys: Have you ever tried finding hidden Mickeys? There are so many fun books & apps you can have to find them all over the park, and many of them are right there in the queues. It’s fun to look for & you feel a sense of accomplishment when you do! 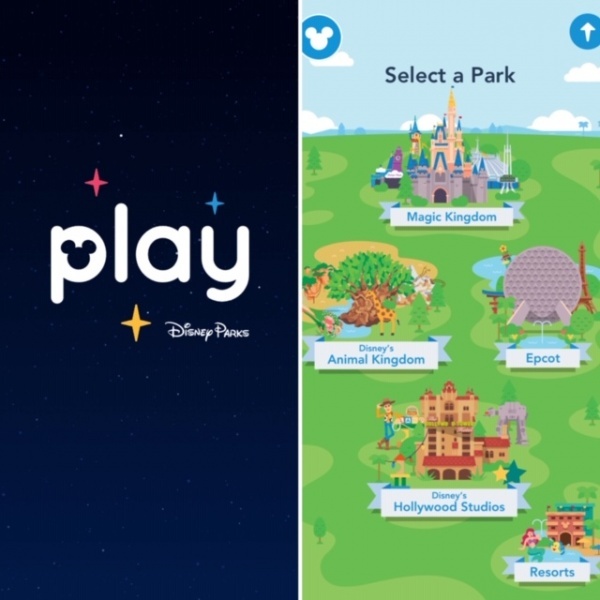 Play Disney Parks App: Something relatively new to the app world is the Play Disney Parks app. On this, you can listen to the classic park soundtracks while you’re at home! You can also do all kinds of in park adventures & games while waiting in certain queues. Download this handy fun tool to occupy yourselves with while in line. Download Netflix Shows: Before you leave for the day, download a few episodes of a show you’re watching on Netflix, or your kiddos favorite show! This can definitely make those sometimes long lines feel like a normal day on the couch…sort of. This is one of my favorite tips! Listen to Music or Podcasts: If you’re a podcast listener like myself, make sure you’ve got a few episodes on your phone of your favorite podcast to get you through the day. If you’re not a podcast listener, have some music to listen to! Make Friends: You’re at the most magical place on earth. Most people are just as excited to be there as you are, and you may even make some new friends, meet people from cool new places, or maybe run into someone from home! 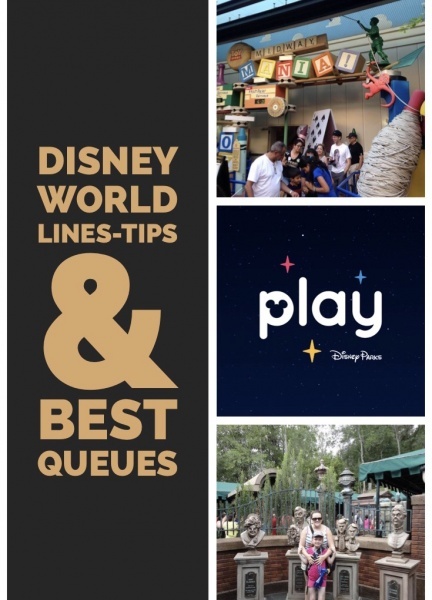 There’s my handy dandy tips for conquering the queues in Walt Disney World. What are your tips? Let us know in the comments below or on Facebook or Twitter!